Aromatherapy massage combines the natural therapeutic properties of essential oils with the healing power of massage to help bring the body and mind into balance, relieve stress and support the nervous, circulatory, lymphatic, immune and muscular systems. A deeply relaxing therapy, renowned for its effectiveness in relieving stress and tension, Indian head massage treats the shoulders, neck, head and face, leaving you feeling both relaxed and energised. A series of treatments can be helpful in relieving tension headaches and poor sleep patterns. Regular facials are not only an ideal way to keep your skin in top condition and deal with any problem areas, but are also a relaxing, restorative experience. At the heart of the holistic facial is a blissful massage encompassing the face, head, neck and shoulders and incorporating the acupressure points of the face and head. I use certified organic skincare products from Neals Yard Remedies to cleanse, exfoliate, tone, treat and nourish the skin. Reiki is a gentle, non-invasive healing treatment that is performed through clothing. A reiki session typically involves the laying of hands on various points of the body to harmonise the subtle energy system, bringing balance, relaxation and a sense of calm and well-being. In today’s busy world it’s easy to succumb to chronic stress and tension without even realising it. This can affect our sleep patterns, our mood and ultimately our physical and mental health. That’s why it’s more important than ever to take time out to allow our bodies and minds to refresh and rebalance. My treatments are designed to soothe overworked muscles and stressed minds and bodies, helping to restore your natural balance and allowing your body and mind to unwind. Each treatment is tailored to your individual needs. I use a range of techniques but in general I prefer to work in a reflective, intuitive way, encouraging muscles to release tension at their own pace and allowing you to return to your centre. Since the benefits of holistic therapies are often cumulative, it can be helpful to have a course of 3 – 5 treatments if you are dealing with acute stress or a particular condition, followed by regular maintenance treatments. ‘Your massages are the best I’ve ever had. Technically they are brilliant as you really identify the knots across the shoulders, but it’s also because you have a nice, warm, open energy that reacts with others in a positive way.’ Debbie, Oxford. Reiki is a form of energy healing. It is a gentle, non-intrusive, hands on healing technique for balancing, healing and harmonising all aspects of the person- body, mind, emotions and spirit – promoting relaxation and a sense of well-being. The treatment is performed with the intention that healing energy is directed to where the person needs it most. A holistic facial is a skincare treatment using effective, natural organic products tailored to your skin-type and including a relaxing massage to the face, neck, shoulders, décolletage and head. Special strokes are used on the face to aid with lymphatic drainage and increase the micro-circulation to the skin, increasing the flow of nutrients to the skin cells and the removal of toxins. Tension is relieved from around the eyes, forehead and jaw. 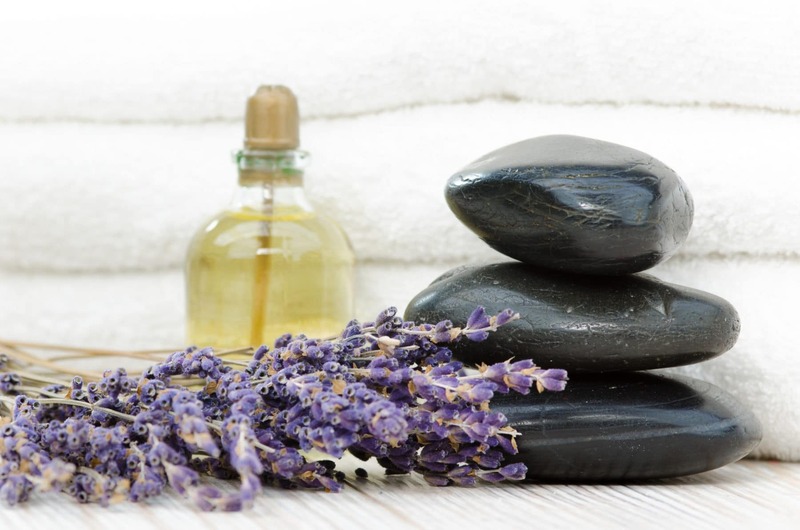 An aromatherapy treatment involves the application of essential oils through massage. Essential oils are the concentrated fragrant extracts of plants, and each one can have specific therapeutic properties. Massage therapy in itself can also have a number of benefits including relaxation, stress reduction, pain relief, increased circulation and supporting the body’s own healing mechanisms.